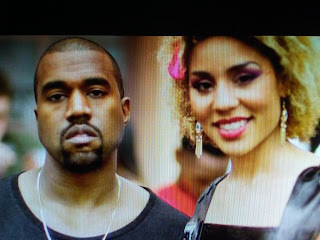 Kanye West did something most celebs don't have the guts to do, break out from the group think that enslaves so many. The last thing the Democrat Party wants is free thinking people. It's the biggest threat to their power structure. The biggest birthday present ever came in the form of several shocking tweets this week from one of my all-time favorite artists, Kanye West. Back on Twitter after a long break, he’s come out strongly pro-President Trump. West is among the most acclaimed rappers of the 21st century, and is one of the best-selling artists of all time, having sold more than 100 million digital downloads and 21 million albums worldwide. His first tweet talked about how he loves the way Turning Point’s Candace Owens thinks – a black conservative who speaks up against the victimization of black people. People lost their minds. Black Twitter disowned West. Folks are calling him “mentally ill” and a “sellout.” And “Kanye West is Cancelled” started trending on Twitter. Some in the media lashed out, saying West had fallen into “the sunken place” – a reference to the film “Get Out,” when a black person gets brainwashed and kidnapped by white people. Instead of apologizing for his pro-Trump comment, like Canadian singer Shania Twain pitifully did – backtracking on her comments that she would have voted Trump if she could vote in the U.S. – Kanye West doubled down.